From fashion-forward frames to practical prescription glasses, see our top picks for the best eyeglasses online. Looking to buy the perfect pair of eyeglasses online? Then look no further. 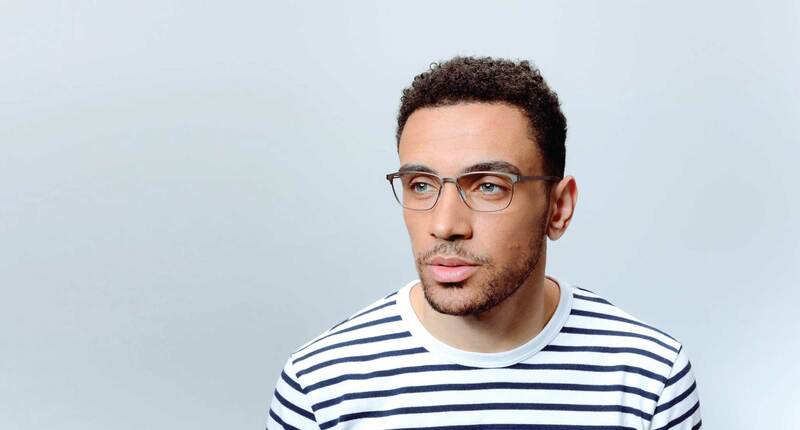 Whether you’re searching for a clear lens style to utilise as the ideal fashion accessory or functional frames that you can wear everyday, we’ve got you covered. You’re about to learn which online eyewear retailer will best match your needs according to certain categories. Sound complex? Don’t worry, we’ll break down each category and provide guidance to help you buy the right pair of specs for you. SmartBuyGlasses have been selling eyeglasses online since 2006. They were founded on the belief that everyone deserves to express their individuality through their eyewear. Ever since 2010, the company has operated 15 multi-lingual, multi-currency websites to deliver unlimited choice when it comes to glasses. SmartBuyGlasses have over 80,000 styles currently available on their US site. As well as providing designer frames at aspirational price points, they feature an own-label range that is more affordable. This means that anybody, with any budget, can shop with them. All of their prescription lenses also come with an anti-scratch, anti-reflective and UV protective coating free of charge. Furthermore, they have a feel-good factor. For every pair of specs purchased via SmartBuyGlasses, the company will donate a pair to someone who needs them through their nonprofit partner Unite for Sight. For some, the thousands of styles featured on the SmartBuyGlasses site will feel a little overwhelming. Even though the company make shopping online with them easy thanks to the different filter and sorting options, eyewear newbies might not know where to start. However, they do have a hub of information to aid consumers, including shopping guides, how-to videos, and blog post styling tips. 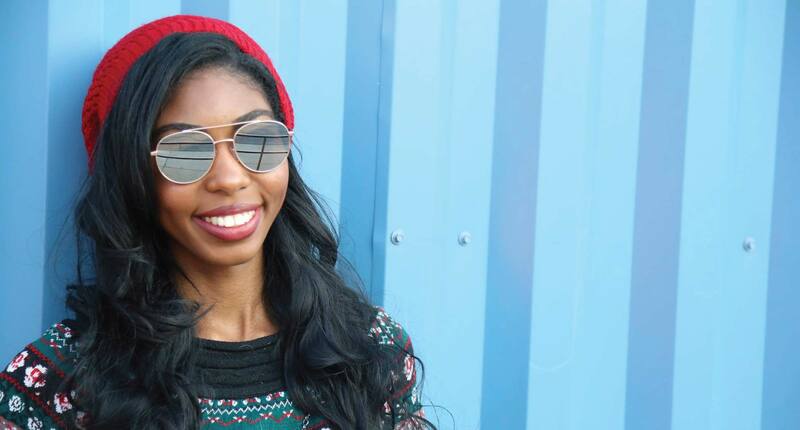 SmartBuyGlasses have a mission to become the world’s biggest range of designer and own-label eyewear. Well, in our opinion, this mission has been accomplished! We’d be surprised if you struggled to find at least one pair of specs you liked out of the 80,000 styles on offer. There’s so much variety, in terms of shapes, materials, and colours, whether you prefer on-trend or more traditional looks. There’s truly something for everyone, but eyewear beginners might struggle with the technical side of buying glasses online. Even though there are resources to help customers with this, we still think they will feel engulfed with information. If you’re a reasonably experienced eyewear buyer looking for a one-stop shop for yourself or to fulfil your family’s needs, then we think you’d enjoy shopping with this authoritative retailer. For further details read our full SmartBuyGlasses review. Zenni was established in 2003 to answer the question: “Doesn’t everyone deserve to look good while wearing an affordable pair of glasses?” They offer stylish eyeglasses and sunglasses for men, women and kids. Low prices are a huge focus for the company, with glasses starting at $6.95, in addition to delivering high quality products and a pleasant shopping experience. 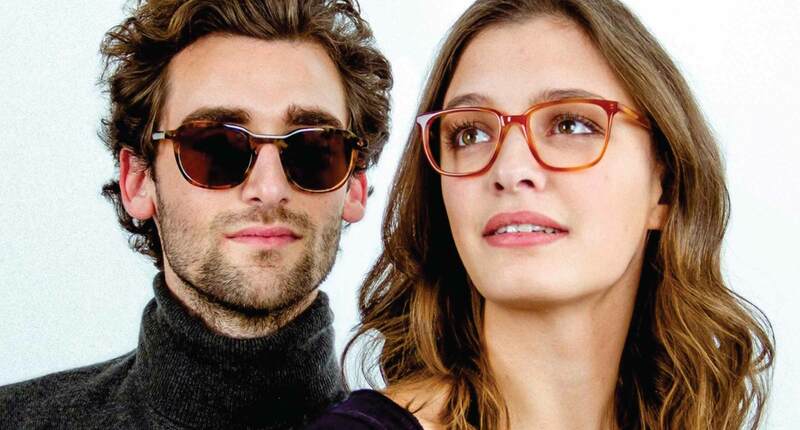 “There’s no end to your style,” according to Zenni, which is obvious through their abundance of frames on offer. They also generously include thin and light single-vision lenses, a UV protective coating and an anti-scratch coating free of charge. Furthermore, unlike other online eyewear retailers, Zenni supply a unique personalisation service where you can customise a pair of their specs by adding a photo or text to the temple arms. It’s rather cool and truly innovative! We only wish that Zenni’s frames were given assigned names to match their creative nature. It’d be good to be able to refer to a pair of glasses as “Rosie Aviators” instead of a bunch of numbers and letters. We’re also a little disappointed regarding the Zenni return policy. You’ll only get 50% of your money back if you want a refund for any reason, or 100% store credit, and you’ll have to pay the return shipping costs. Moreover, the company charges for domestic shipping. Even though it’s only $4.95, they’re the only online eyewear retailer that demands this. Although, international shipping is only $9.95 regardless of where you’re located in the world. Whether you prefer classic, trendy or retro-inspired frames, Zenni feature every type of eyewear imaginable in a variety of shapes and materials. Their price points might be low; but, in Zenni’s case, it doesn’t mean that they’re rubbish quality. In fact, the very opposite is true! Online shopping with them is made easy through their virtual try-on mirror, which pops up on the side of the site as you’re browsing. You can also choose from a variety of lens options at the checkout stage. There’s no denying that Zenni offer high quality eyeglasses at unbeatable prices. If you want a fashionable pair that’s individualistic and no one else will own due to their customisation service, then this online eyewear store might just be your new best friend. For further details read our full Zenni Optical review. Warby Parker was founded in 2010 to offer a refreshing alternative to other eyewear companies. They aim to provide higher quality, better-looking prescription eyewear at the lowest possible prices through designing and producing everything in-house. Currently, they feature vintage-inspired eyewear for men and women on their site, starting at $95. As well as having a successful online store, Warby Parker has multiple physical retail locations in the US and two in Toronto, Canada. 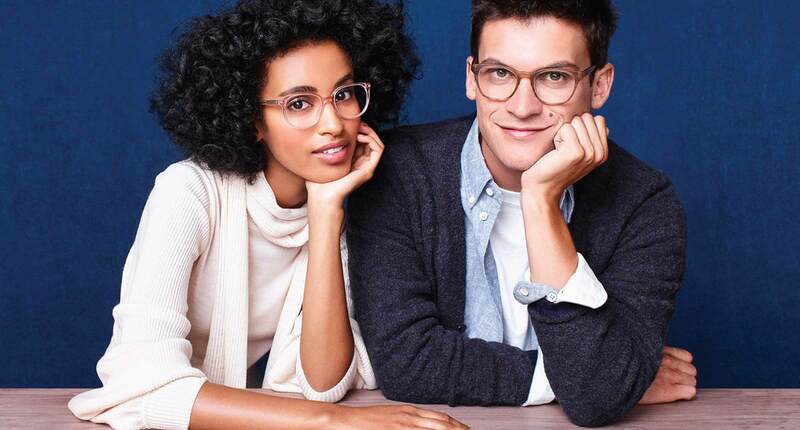 Warby Parker believe that everyone has the right to see and own attractive specs that won’t break the back. They’re in partnership with nonprofits such as Vision Spring and regularly give back to those who can’t afford to buy glasses for themselves. Additionally, the company has an individual “Home Try On” service where you can choose up to five pairs of glasses to be shipped out to you free of charge. Then, you merely try them and keep the pairs you like. Warby Parker only ships to the US and Canada at present, which is such a shame. The world could benefit from their beautiful, premium-feel frames! Even though their eyeglasses are undeniably incredible, the mid-market price points mean that not everybody will be able to afford them. Plus, shopping via the site could be made a lot easier. For instance, it’d be great if you could filter the selection by various options such as price. Warby Parker feature fun and distinctive eyewear collections inspired by vintage fashions. They earn the “Best Online Eyewear Brand” title thanks to their more well-rounded and convenient shopping experience. Customers have the choice of whether they’d like to shop with the company online or in store. If they choose the online option, they can take advantage of their “Home Try On” service, which certainly makes life easier. However, it’s a shame that the company haven’t yet expanded their customer base to other countries around the world. Perhaps that’s something we can look forward to in the future! 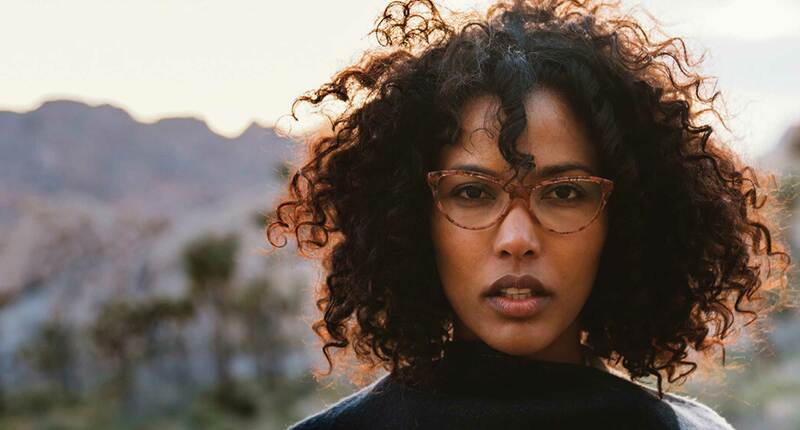 Either way, Warby Parker is ideal for glasses wearers based in the US and Canada, who lust after high quality frames made from premium materials and don’t mind paying slightly more for glasses that will last. By shopping with this established and renowned company, you can also rest assured that with every purchase, you will help someone in need. Win, win! For further details read our full Warby Parker review. Having been around since 1996, Frames Direct is one of the longest-running online eyewear stores. They claim to be a pioneer as the first ever website to sell prescription eyeglasses online for men, women and kids. Founded by two optometrists, the brand is now owned by the world’s largest lens company Essilor, which explains why they offer both glasses and contacts. Frames Direct has everything eyewear-related in one place. They’re an original one-stop shop featuring a variety of contact lens and frame options. Currently in their portfolio, they provide over 250 designer brands and 100,000 styles at discounted rates. You can tell that they’ve been in the business for a long time just by browsing through their website. It has a premium, authoritative feel. You can also rest assured knowing that the customer service team are made up of qualified optics and are on hand should you need any help. If this is your first time buying eyeglasses online, you might struggle. Frames Direct have a very basic Face Shape Guide and Glasses Size Guide. You’d have to guess which frames might suit you and then send them back if they don’t. However, if you do have to return an item for any reason, the company has a free 30-day policy. It can also take a little while for your order to be shipped out to you, depending on where you’re located in the world. Frames Direct being a part of Essilor makes it easy to trust them. The fact that the team behind the scenes is made up of expert opticians allows you to feel comfortable and relaxed when shopping with them. Plus, they have an array of well-known designer glasses brands and contact lens brands in their portfolio that are recognised worldwide, so you know that you’re getting a high-quality product. We reckon that you’ll particularly love Frames Direct if you’re an experienced glasses and contact lens wearer. 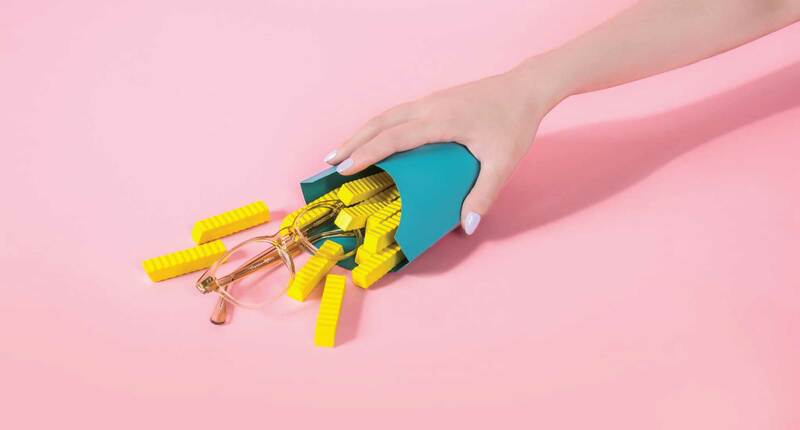 After all, you can sort out all your eyewear in one place! For further details read our full Frames Direct review. The Glasses.com mission is “to change the way the world see glasses.” Providing designer frames for men, women and children, the company is determined to help glasses wearers find frames that fit in with their lifestyle. From eyeglasses to sunglasses to safety goggles, Glasses.com features a range of styles with diverse lens options. The latter includes everything from high-quality polycarbonate to lightweight high index varieties. Glasses.com currently have over 30 brands in their designer portfolio, including big names like Burberry, Michael Kors and DKNY. Their eyewear is undeniably stylish and comes at discounted prices. If you’re ever struggling with your shopping experience, you can use the website’s array of helpful resources. Choose from blog posts, how-to videos and Pupillary Distance fitting PDF downloads. They even have their own mobile and tablet app with 3D virtual try-on technology so you can try on your specs before you commit to buying them. Want more good news? The company have minimal shipping times thanks to their in-house laboratory. If you live in the US, you also qualify for free shipping. Yippee! The bad news is that if you don’t live in the US, you’re going to miss out. Unfortunately, Glasses.com don’t ship internationally at this very moment. Moreover, some of their price points are extremely high for those who are searching for budget-friendly frames. We’re talking $500. Glasses.com provide an extensive collection of on-trend designer goods, which makes them one of the most fashion-forward eyewear retailers around. Another plus point is that the shopping section on their site is incredibly easy to use; simply browse by your face shape, required eye frame shape, colour and budget. You can even shop according to the latest trends via their “Trends” section. Glasses.com is a great eyewear retailer for everyone. However, if you’re US-based and don’t mind paying high-end price points for luxury eyeglasses, then Glasses.com would be most suited to you. Their helpful customer service team and assortment of resources undoubtedly create both a supportive and enjoyable shopping experience. For further details read our full Glasses.com review. Roy Hessel founded EyeBuyDirect on the principle that quality eyewear should be accessible and affordable to everyone. The company achieves their mission by doing everything in-house, from concept and design to manufacture. The glasses on offer cater to men, women and children. They’re high in quality, but at reasonable price points. Since 2015, EyeBuyDirect also regularly donate to nonprofits that share their passion for vision correction. They are currently partnered with Feed The Children and The Lions Club. 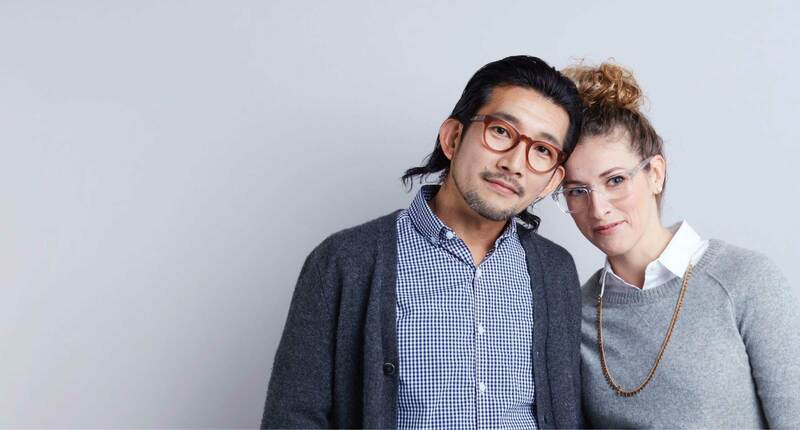 The EyeBuyDirect glasses selection is undeniably creative and stylish. Their own label, called RFKLT, is based on contemporary architecture and design. In fact, each frame and name embodies an aspect of a modern cityscape. When it comes to sunglasses, the company has over 200 styles on the site presently with over 12 individualistic lens tinting varieties. There is also an array of lens options from you to consider, from digital screen protection to scratch resistance to anti-glare, for an additional charge. Looking for premium materials too? No problem. Choose from high quality and durable plastic, acetate, wood texture, metal or titanium for your fashionable yet functional EyeBuyDirect specs. Unlike similar online eyewear retailers, EyeBuyDirect won’t allow you to qualify for free domestic shipping until you spend over $99. And international customers should expect to pay from $9.95-$19+ depending on your geographical location. It’s a little pricey, to say the least. Another potential drawback is the company’s pricing proposition. The cheapest pair of frames might be listed as $6.95 on the site, but then prescription lenses and coatings are charged on top when you reach the checkout. It’s important to bear this in mind as you’re shopping or you could be running up a hefty bill without realising! The RFLKT collection at EyeBuyDirect is unique and innovative for men, women and kids. After all, the designers look for inspiration from our daily lives to produce original concepts for eyewear. However, the women’s range seems to be on another level. From bold black classic gigs to on-trend cat-eye shapes, there is something on the site for each and every lady that will emphasise their fashion style and personality. As well as offering sleek and timeless eyeglasses, EyeBuyDirect provide a smooth and straightforward shopping experience thanks to their EyeTry virtual mirror and extensive resources. You can also rest assured that a percentage of your purchase will be donated to charities who share the company’s vision to provide specs to those in need. Ladies who want truly distinctive and ahead-of-the-curve glasses at affordable price points should try EyeBuyDirect; just watch out for those extra costs at the checkout! For further details read our full EyeBuyDirect review. Classic Specs have been producing retro-inspired, handcrafted eyewear for men and women since 2010. Their aim is to deliver well-crafted, good-looking and affordable glasses that will suit all face shapes. As well as an online store, they have two physical bricks-and-mortar locations in San Francisco. Style, quality and creativity are at the forefront of the company’s values. In addition to their usual collections, Classic Specs collaborate with artists from all over the globe to offer differentiated limited editions. Price points start at $49, which are considered mid-range in the current market. This is to compensate for the premium materials used during the manufacturing process, as the majority of their specs are crafted from high quality Italian acetate with stainless steel reinforced hinges. Furthermore, you can make use of their home try-on service with no obligations. Merely pick out five frame styles, wait for them to be delivered to you, try them on and send them back free of charge before making your final purchasing decision. International shipping can be bit of an issue with Classic Specs due to the expense. You’re looking at a flat cost of $30, which is almost the same price point as one of their pairs of glasses! In addition, the company’s returns policy is a little out of the ordinary. If you make a purchase and something isn’t technically right, Classic Specs will cover the cost of fixing the issues, but you have to go out and seek an optometrist that will help you. What happens if you decide the glasses aren’t quite right for you for whatever reason? Well, it looks like you won’t get your money back. This doesn’t exactly invoke confidence for new or potential customers. Even though there are only a handful of eyeglasses and sunglasses styles on the site at the moment, don’t be put off by the company’s focused approach. Each pair of specs comes in a variety of colours and has a creative design. And sometimes, less is more! Men would particularly enjoy shopping with Classic Specs, as the present artistic collaboration with Milton Glaser consists of modern and masculine-looking frames. The collection was built on the concept of “seeing” and the idea that what one believes and “sees” becomes their true perception of the world. It’s undeniably cool and quirky. When it comes to buying eyeglasses from Classic Specs, we think US-based customers would have a more pleasant experience because they’d get to avoid the steep international shipping costs. That being said, it’d also help if you were an experienced glasses buyer due to the company’s complex returns policy. Either way, you can rest assured that you’ll receive unique, premium-quality frames at reasonable price points with Classic Specs. For further details read our full Classic Specs review. Coastal initially launched their site in 2000 as a contact lens seller. They expanded to include eyeglasses and sunglasses a few years later to create a one-stop shop for eyewear. The company strive to make life easier for the average eyewear shopper by bringing prescription glasses to people who find them out of reach. They currently cater for men, women and kids. Coastal frames are varied and versatile for any age group. The site offers both own-label and designer options to meet every taste and budget. Their own-label portfolio consists of exclusive, stylish brands like Derek Cardigan, Kam Dhillon and Love. When it comes to designers, they feature fashion industry leaders, such as Michael Kors, Calvin Klein and Dolce & Gabbana. Using cutting-edge technology, each pair of Coastal specs is crafted from high quality, lightweight materials including titanium, handmade Italian acetate and stainless steel. This means that you get what you pay for with the company’s mid-market price points. In terms of their shopping experience, their site is simplistic and user-friendly. Merely use their virtual try-on feature to pick out a pair of frames that you’ll love. The only drawback when it comes to Coastal is their longer processing and shipping times compared to the average eyewear retailer. This is especially the case for contact lenses, as they have to go through an initial verification process. For domestic customers, you’re looking at 16 days, but you do qualify for free shipping. For international customers, there is more of a wait and you have to pay a considerable charge for shipping, which varies depending on your exact location. It’s not ideal, but there are worse potential drawbacks! Coastal have an abundance of choice when it comes to premium eyewear for men and women. However, they win the “Best Kids Glasses” category thanks to their huge selection of cool kids’ eyewear. The company has their own kids label, Zooventure, that delivers vibrant and fun options; but you can also choose from the designer section, which offers timeless luxury. Due to the two different offerings, it does mean that there can be quite a jump in terms of price points. However, generally speaking, you’re looking at more affordable price points for Coastal’s own-label options and higher costs for the designer brands. Regardless of your budget, Coastal is undoubtedly a trustworthy, well-rounded eyewear retailer. It’s especially ideal for eyeglasses wearers who also like to use contact lenses, as they can get everything that they need in one place. Whether you’re shopping for yourself or your family, you’re bound to find something that suits your needs. For further details read our full Coastal glasses review. Established by eye doctors in 2000, 39DollarGlasses believe that eyewear should be affordable first and foremost. This is because, while working for other companies, the founders were astounded by the amount of people that would leave eye exams empty-handed because they couldn’t afford the high price points of the eyewear on offer. For this exact reason, the company provide non-prescription and prescription eyeglasses, sunglasses and contact lenses at up to 70% discount compared to other optical stores. 39DollarGlasses frames are effectively designer-style eyewear, but without the price tags. They start at $39, which means that the company is presently one of the cheapest eyewear retailers online. 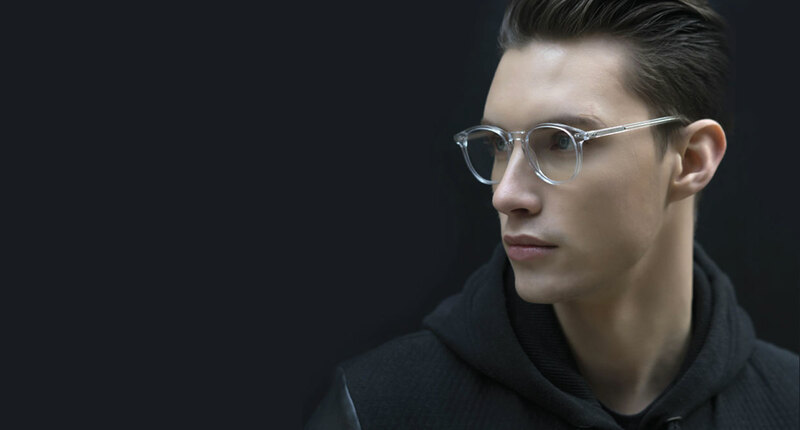 As well as having an assortment of materials on offer, they also feature bend-less titanium frames, which are considered an innovation in the eyewear world. These specs can be bent in any way, shape or form before springing back to their original shape. Moreover, they weigh less than a paper cup! Based in New York, 39DollarGlasses have their own laboratory so that all US orders are shipped fast and free, which is a big bonus. If you’re also looking for the feel-good factor, you’ll get it with 30DollarGlasses. They donate thousands of dollars’ worth of eyeglasses to multiple charities each year to help those in need. If you’re new to shopping for eyewear online, then you might struggle. Sure, the company have a FAQs section on their site featuring guides on how to choose frames and measure your Pupillary Distance, but they’re not interactive in any way. It’s certainly challenging to sift through all the information if you’re more of a visual learner. Moreover, the website states that the company has an ExactFit try-on virtual tool, but this is nowhere to be found. If you overcome this challenge, manage to make a purchase and try your new frames on when you receive them only to find that they don’t exactly suit you, you’ll be happy to hear that you can get a return. However, you’ll have to cover the shipping costs yourself. Whether you prefer conventional or trendy-looking frames, 39DollarGlasses have diverse and versatile ranges that truly cater to every taste. There are also a variety of colours and shapes available for men, women and kids. Let’s be real, though. The major attraction with 39DollarGlasses is their affordability. The good news is that even though their glasses are heavily discounted, the quality is not compromised. All frames have a triple-lacquer coating and fully adjustable nose pads to ensure that they last the test of time. If you’re looking for budget-friendly yet durable eyeglasses for all the family, or a one-stop authoritative shop for all your eyewear needs, then 39DollarGlasses might just be the ticket. For further details read our full 39DollarGlasses eyewear review. No one’s saying that you have to buy eyeglasses online, but it sure is convenient to be able to shop from the comfort of your own home. It’s also pretty challenging to be able to view an eyewear company’s full range in a physical store, as different stores often sell different products depending on their location. Online shopping eliminates this challenge, as you can browse every collection on offer and filter the selection based on your personal requirements. Furthermore, the best eyewear retailers make it easy to shop online for eyeglasses due to their virtual try-on tools and array of useful resources. You have the luxury of shopping in your own time frame according to your focused specifications. It really is a no-brainer! You can trust what we have to say because we’ve spent hours undergoing all the research. We’ve analysed the eyewear stores in question, we’ve read the customer reviews and we’ve formulated valuable insights based on the information. We’re striving to help you in any way that we can, because we know how difficult it is to find eyeglasses online that encapsulate everything you want and need. We picked out nine of the most renowned online eyewear brands currently on the market and decided to review them against a range of factors. These factors included: background, frame selection, lens options, shipping and returns policies, help and support and affordability. Why isn’t there an overall winner, we hear you ask? We decided to narrow down your shopping choices for online eyewear based on different categories. Then we selected the best eyewear retailer in each category based on overall consumer value. Basically, we did all the hard work, so you don’t have to!